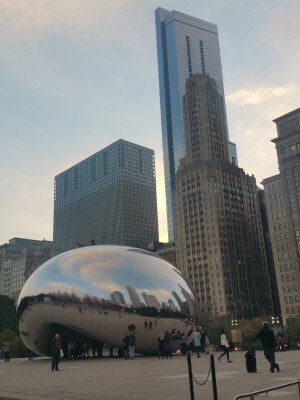 Klusster Media's CEO took a quick trip to Chicago for Social Media Week Chicago - providing some invaluable insight and great conversations! 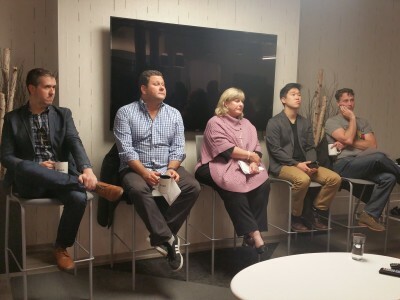 Klusster Media's CEO Steve Thode was invited to speak on a panel for Social Media Week Chicago - a fantastic week of social media professionals sharing valuable information and insights with other professionals and interested businesses alike. Steve was joined by John Yi, co-founder of NextME, an app that manages restaurant waitlists and promotes local business, Debbie Littmann Marchok, VP Marketing at Eli's Cheesecake Company, and Rich Levy, founder of Giftie, a subscription-based app for gift cards available in your area. It was a fantastic evening filled with great conversation - a big thank you to Todor Krecu (@tkrecu) of Social Media Week Chicago for inviting us!